Please be vigilent. There was an attempted break-in in Cherrygarth on Tuesday evening but the resident was able to chase them away. Gardaí have been informed. 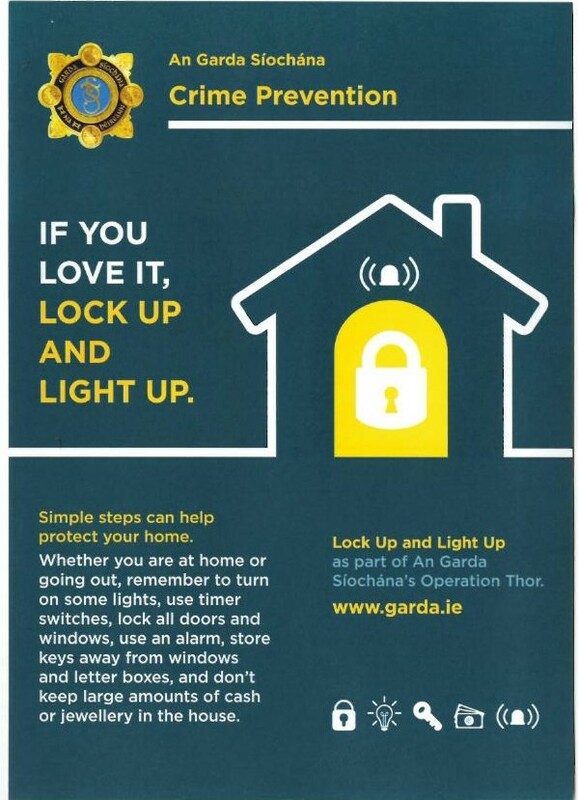 Complete this simple Home Security Checklist compiled by An Garda Síochána to determine how well your home is secured against burglary. A good rule of thumb is the 3 minute delay test. 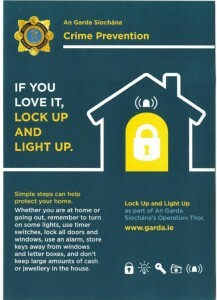 If you can deny entry for 3 minutes or more – chances are the burglars will go elsewhere.